A seven-strong celtic punk band that packs a punch! 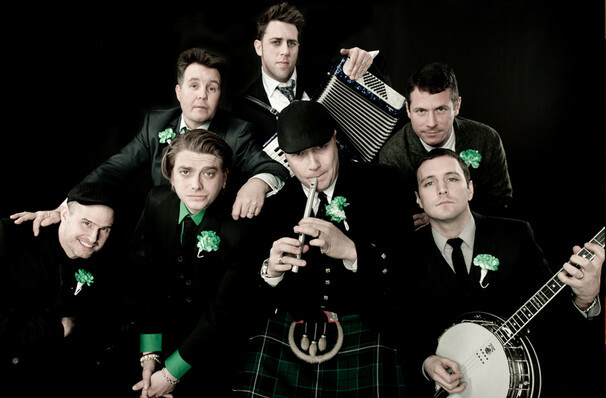 The Dropkick Murphys are a celtic punk band who count amongst their many influences bands such as The Pogues, The Clash, Stiff Little Fingers and AC/DC. 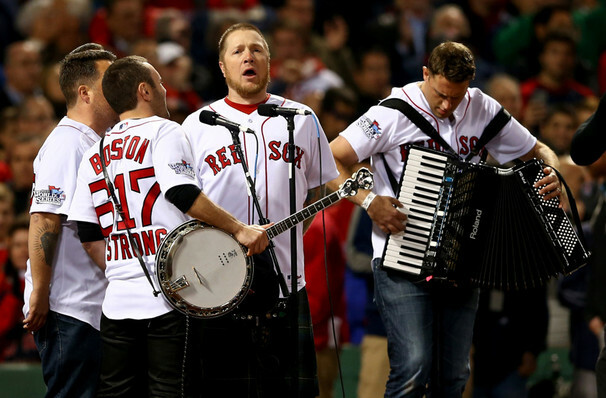 The band has long since been affiliated with the Boston Red Sox and the Boston Bruins as their music was used as the Boston Red Sox's World Series winning song, as well as in many films. They formed in 1996 in Quincy, MA, and are known for their infectious stage energy and not-to-be-missed St. Patricks Day performances! Making up the seven-man band is a bag-pipe player, banjo player, two guitarists, a bassist and drummer, with all seven members contributing to vocals. Sound good to you? 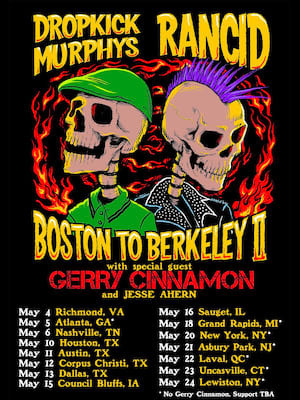 Share this page on social media and let your friends know about Dropkick Murphys at The Fillmore. Please note: The term The Fillmore and/or Dropkick Murphys as well as all associated graphics, logos, and/or other trademarks, tradenames or copyrights are the property of the The Fillmore and/or Dropkick Murphys and are used herein for factual descriptive purposes only. 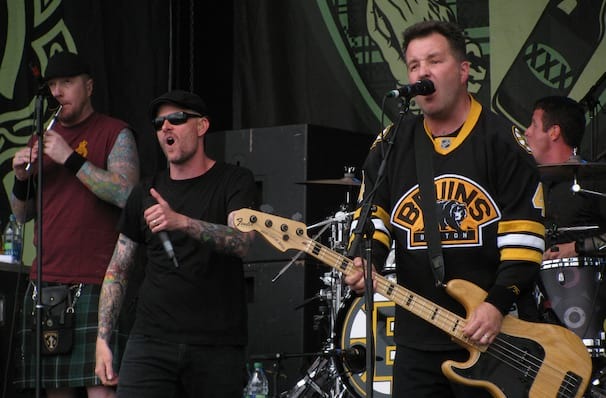 We are in no way associated with or authorized by the The Fillmore and/or Dropkick Murphys and neither that entity nor any of its affiliates have licensed or endorsed us to sell tickets, goods and or services in conjunction with their events.